In the early morning hours on Dec. 17, 2014, a fire broke out at A New Outlook of Taylorsville, a 34-bed adult care home that sits at the end of a winding residential street in hilly rural Alexander County. Like other adult care homes across North Carolina, A New Outlook provides housing with 24-hour supervision for disabled adults, many suffering from a range of mental illnesses, such as dementia and schizophrenia. Residents live at facilities like A New Outlook because they are often mentally or physically unable to care for themselves independently. When news of the Taylorsville fire was first released, responders from the Alexander County fire department, several volunteer fire departments, Emergency Medical Services, Taylorsville Police and the Alexander County Sheriff’s Office went to the scene. They reported finding a smoke-filled hallway and several residents physically unable to escape on their own. These first responders helped many residents to safety, dragging some down the hallway and pushing others through the windows of the one-story facility. But emergency crews didn’t find either of the two A New Outlook employees who were supposed to be on duty. According to a Taylorsville Times article, one of those employees left the facility prior to the fire to go to a store. The other employee, Brandon Shane Parsons, disappeared when police arrived. Parsons faced an outstanding warrant for failing to show up for a court date. Deputies later arrested Parsons on the old warrant. 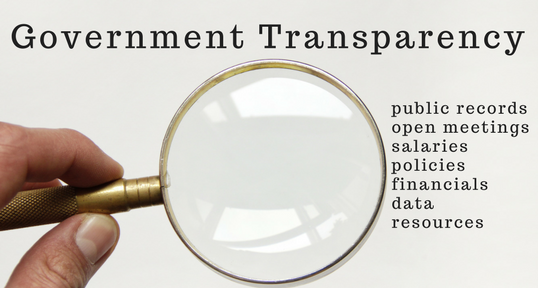 North Carolina law provides for periodic county and state inspections of these facilities, as well as responses to complaints and incidents. Adult care homes with problems can face steep fines, with additional penalties if issues aren’t resolved. Ranked from a low of one to a high of four stars, facilities can lose stars in their ratings, which are often marketed to consumers as the best indicator of quality care. In the most severe cases, these facilities can potentially lose their licenses or face mandates for such costly changes that they close voluntarily. Following the incident, state officials determined that staff at A New Outlook had not properly supervised or administered medications to residents with known tendencies to start fires. The incident led to one of the largest amounts in total fines levied by the N.C. Division of Health Service Regulation against an adult care home in the last three years, a Carolina Public Press investigation found. DHSR penalized the home $58,000 for five violations, including two Type A1 citations, a designation reserved for the most severe issues, where “a violation by a facility of applicable laws and regulations governing a facility … results in death or serious physical harm, abuse, neglect, or exploitation” of a resident. Altogether, 27 residents faced temporary evacuation, according to the newspaper report. EMS carried a female resident to the hospital in nearby Hickory for treatment, though the severity of her condition was not made public. Taylorsville Police First Sgt. Kevin Elder cut his hand when he broke glass to aid residents and would later receive stitches. Sheriff Chris Bowman told the Taylorsville Times that he and Fire Marshal Russell Greene both believed that a quick response from officers prevented a tragic outcome. “I feel, along with Fire Marshal Greene, that they saved a lot of lives,” Bowman told the Times. But was the situation enough to close down the facility? No, even though it was already under question. Before the fire, regulators had prevented the facility from admitting new residents until August 2013, but the suspension ended after a month. After the fire, new admissions were again suspended, but have been restored since April 2015. 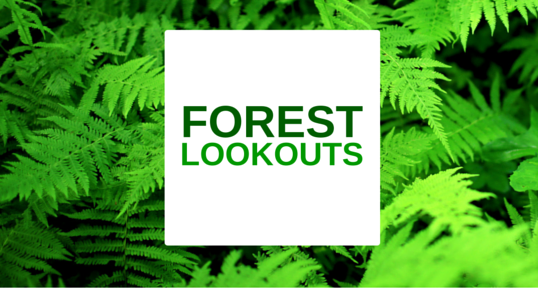 Today, A New Outlook continues operating as a 34-bed facility. The state has awarded it zero out of a possible four stars — the same rating it’s earned in eight of its last 10 inspections since 2013. The incident in Taylorsville may be one of the most dramatic cases in recent memory, but it isn’t alone. 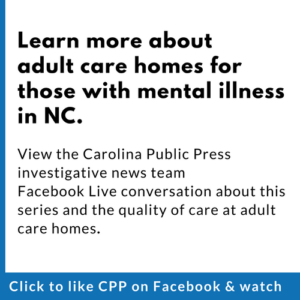 Since January, Carolina Public Press examined three years of public records about North Carolina’s adult care homes, specifically reviewing quality of care and safety conditions; reviewed related inspections and penalties; researched how state and local governments monitor the facilities; and investigated the effectiveness of that oversight and areas of concern. On Friday, July 21, Carolina Public Press held a public Newsmakers forum exploring issues related to housing for those with mental illness. State records lag in removing closures and adding new facilities; a rough estimate indicates that more than 1,200 adult care homes are operating across the state today. Smaller facilities typically have room for up to six residents, but larger ones may house more than 150. What we found was nothing if not inconsistent. Despite a complex and costly system designed to keep the state’s adult care home system running smoothly, very serious complaints and incidents persist, with residents neglected, mistreated or even abused. The “star system” – a piece of paper granting a facility between zero and four stars, purportedly created to provide consumers with a quick-to-understand indicator of quality (zero, being the worst and four being the best), appeared to have little consistent or reliable meaning. Many facilities operate with few stars. Others, despite having higher single fines than those levied in Taylorsville, still reportedly have several stars. According to the current county-by-county list of adult care homes with star ratings from DHSR, 43 homes currently have no stars. This may include some homes that have recently had their licenses revoked, but many others are operating, possibly with restrictions on admitting new residents. This occurs, in part, because the star rating is adjusted after a decision to restrict or close a facility, both of which count as demerits. And do those stars relate to fines? Carolina Public Press found there appears to be little correlation, though that may be due to fines being delayed up to 1 ½ years after an incident prompted a change in the facility’s star rating. Some fines come long after a facility has shut down. In some cases, Carolina Public Press found, inspectors levied high fines against adult care homes after finding what appears to be small violations, such as improper documentation issues, that went unfixed despite several warnings. In others cases, shocking incidents like the fire at the Taylorsville facility led to public attention and eventually resulted in fines. But the state’s regimen of inspections failed to halt problems before an incident took place and allows facilities with ongoing serious issues – noted in inspections or not – to remain open. In some cases, facilities had substandard construction that posed risk for fires or other emergencies. Sometimes too few staff were in place for the population of residents. Some staff, even well-paid managers working for larger corporations, lacked training in procedures and the regulations they were required to follow. In fact, Carolina Public Press found that providing medication to residents is an area that has led to many citations for improper care across the state. Where the system appeared to work well, records gave evidence of vigorous inspections and citations where appropriate. In other cases, patients were neglected, abused or even assaulted by staff or other residents before the state stepped in. Who lives in adult care homes? 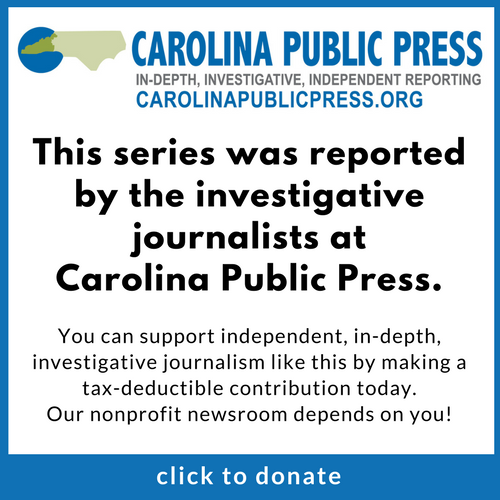 Elements of Carolina Public Press’s findings have been under scrutiny for years. In fact, The U.S. Department of Justice entered into a voluntary settlement with the state in 2012 after concerns arose, alleging that forcing mentally ill adults into adult care homes violates their rights under the Americans With Disabilities Act. Last January, the DOJ notified the state that it has violated that agreement through misinterpretation. State officials responded with their own legal filings, saying they are not out of compliance. But how are these facilities supposed to work — and who is keeping watch? That may sound like a traditional retirement facility or “old folks home,” but that can be misleading. These facilities are not “nursing homes,” which are overseen through different regulations under state law. In fact, the average age for residents in these homes is 59, and residents are not provided treatment, only housing and living assistance. What the statute doesn’t say directly is that adult care homes are North Carolina’s primary solution to housing individuals with mental illnesses who require assistance with day-to-day functions and decisions. While the state does operate three mental health hospitals, in Burke, Granville and Wayne counties, the limited bed space at these facilities are reserved for patients with the most severe illnesses. Through reform measures mandated by the N.C. General Assembly over the past decade and a half, the capacity of those facilities to care for the mentally ill has dramatically decreased. Some 12 private psychiatric hospitals also operate across the state. However, most adults with mental illness don’t need or want long-term hospitalization, even if they do need some degree of assistance with daily living. In most ways, these homes are merely small adult care homes, with similar regulations. But because of the way other aspects of state law and policy work, it’s much easier to open a family care home than a larger facility, which has led to their proliferation in recent years. Because cumulative violations lead to star-system demerits and penalties, a company that cuts corners to operate several family care homes in the same community is less likely to face the cumulative effect of violations spread over several sites than a company operating one large adult care home. Yet, in total, that family care home chain may serve more residents than the single larger facility. 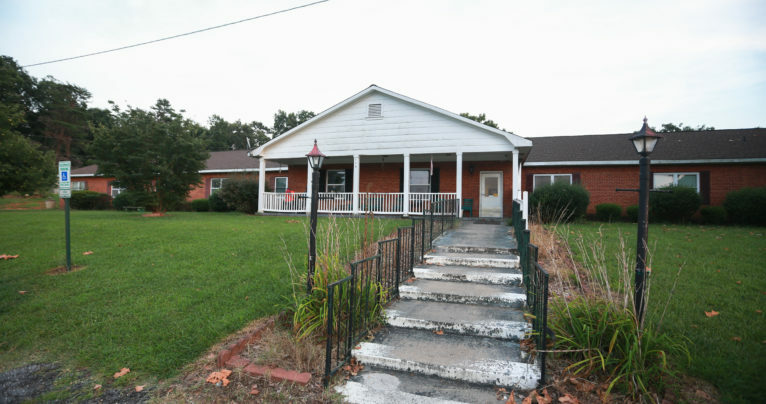 In one example, a business named Nutz R Us was allowed to operate several family care homes in Buncombe County despite its name and past inspection records. In practice, advocates for the mentally ill say this is one of the most serious flaws in the system. 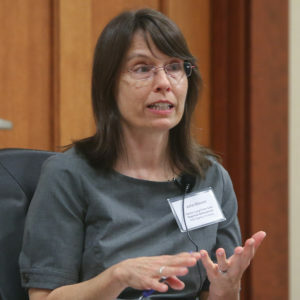 “There’s a gaping hole in our system where people with severe mental illness go to a family care home and they’re not getting what they need,” said Julia Gibson, an ombudsman for Buncombe County. People with a range of functionality reside at adult care homes, often in close proximity with varying degrees of interaction with staff and people with different disabilities. Those interactions can sometimes become agitated or even violent. In a family care home, that can take place in close quarters with limited staff to intervene. Observers also point to broader problems with the entire ACH approach for mentally ill adults. “What we have right now is a crisis-services menu,” said Jack Register, former executive director of the North Carolina office of the National Alliance on Mental Illness. Editor’s note: This article has been updated to correct the number of state-run mental health hospitals in North Carolina and their locations. Thank you for bringing attention to these residences that are too often below the radar. And once a person gets enrolled/committed into one of these institutions, it is virtually impossible to get them out because of the legal machinations of social services and law enforcement. I’m not surprised. Low wages for the most important people in our lives. Follow the money. Budget cuts just make it all worse. I worked in a well known adult care facility with national branches. The problem is no one speaks for these people who cannot speak for themselves. Many have no outside visitors. As a former inspector for the state (not adult care homes), part of the problem may be the training and experience of the inspectors. High turnover, high caseloads, and myriad other factors (including low pay) can lead to inconsistencies in the inspections. The people I used to work with were great, but human as well. This is sad and the state of N. C. allows these group homes to take all of these ppl money except for 30 or 60 dollars. Some never wash their clothes, or follow up on medical care. Just collect, collect, collect the funds and live extravagant lifestyles. Where is the policing of that? If you got 15 ppl in a house ×that by 735.00 a month that’s almost 10,000. If you own 10 group homes that’s 100,000 per month. If they are really frugal the paper is a million dollar a year business. Some of us is in the wrong business if you wanna make money. What a steal. God bless them that can’t do for themselves. Vote republican, pay the price! This is not a one Party issue. Dems were in control when I worked in an adult care home and it was the same. What she said. They’re just making it worse. I have a lot of expertise in remedying this if anyone’s interested.